Such a simple solution that I never thought of before. Thanks for the post! It’ll be nice not needing to do a google search for the (rather sparse) WP unit testing documentation. This is an excellent tip but I’m still not seeing methods like assertEquals() available. Am I missing something? I see see WP specific functions available. Add PHPUnit to your list of known libraries. 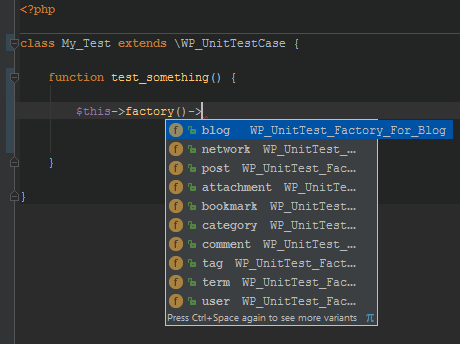 If you can’t do that, git clone PHPUnit from GitHub and add it to your Include Path like you did the WordPress tests.